“I think this must be Russian,” said a Turkish university student as we looked at the inscriptions on the ruined Church of the Redeemer at Ani. For a moment I was stunned. Ani was built 1,000 years ago as the capital of an Armenian kingdom that stretched over much of what is now eastern Turkey. Today shepherds graze their sheep here in the shadow of the crumbling monuments. On reflection, I should not have been so surprised. The large introductory sign at the entrance is an unpleasant piece of historical distortion that makes no mention of the Armenians. Nor did a Turkish guidebook that we brought with us. “It’s not Russian,” I said, “it’s Armenian… The Armenians built this city.” She looked again with mild surprise at the inscriptions. As striking as the dilapidation and decay of Ani is this sense of estrangement between the people who shared this land for centuries. When we visited on a late afternoon in April, there were only a handful of other sightseers. There are no bus services, so you either hire a car or take a taxi from Kars, about 30 miles away. The ruined city is bounded on three sides by a gorge through which flows the Arpacay river, and in the distance watchtowers mark the modern-day Armenian border. The Turkish biology students who had got a lift with me from Kars were excited to see from atop the walls what appeared to be an Armenian village in the distance. It was perhaps five miles away, but to visit we would have to travel several hundred, via Georgia or Iran. The Turkish border has been closed since 1993, when Ankara broke off ties with Yerevan after the latter went to war with Turkey’s ally Azerbaijan. Turks and Armenians have periodically fought over this land for centuries. The Seljuks captured Ani in 1064, selling it to the Kurdish Shaddadid dynasty eight years later, who then lost it to the Georgians in around 1200. Devastated during the Mongol invasions, the city entered a slow decline and was abandoned by the middle of 18th Century. Its death predates the events that are the main cause of bitterness between Turks and Armenians: the systematic murder and deportation between 1915 and 1918 of the entire Armenian population of eastern Turkey, during which time as many as 1.5m Armenians died. In 1920, Turkey fought Armenia again, seizing Kars and Alexandropol (present day Gyumri, in Armenia). After around two months of fighting they signed a peace treaty that fixed the present border. Ani’s misfortune is to be stuck on the wrong side of that border. Decades of neglect, looting, and vandalism have edged it closer to oblivion. In 2010 the Global Heritage Fund ranked it as one of 12 sites worldwide most at risk of irreversible destruction. But the current Turkish government has apparently recognized the value of looking after the country’s rich and decaying wealth of Christian monuments – or at least the diplomatic and PR benefits of doing so. Last year, the Turkish Culture Ministry announced a project in conjunction with the World Monuments Fund to begin repairing the main cathedral and the Church of the Redeemer. Will it come soon enough? The Church of the Redeemer was cloven clean down the middle during a storm in the 1950s. The cross section cut reveals the remarkable engineering of the building. Its walls are thin comparative to the huge, airy space they enclose, like a bubble frozen in stone. It seems miraculous that what is left of the huge drum and dome has stood for half a century in this state. On the road back to Kars we fiddled with the radio and stumbled on an Armenian station. It was the voice of an elderly woman, soothing and measured as if telling a bedside story, and interspersed with short peals of classical music. Engrossed and mystified, we sat listening for 20 minutes or so until her voice faded into static. I have a piece out on Eurasianet about the surge in illegal trawling around Istanbul, which has caused tension between fishermen and environmentalists that erupted into violence in January. 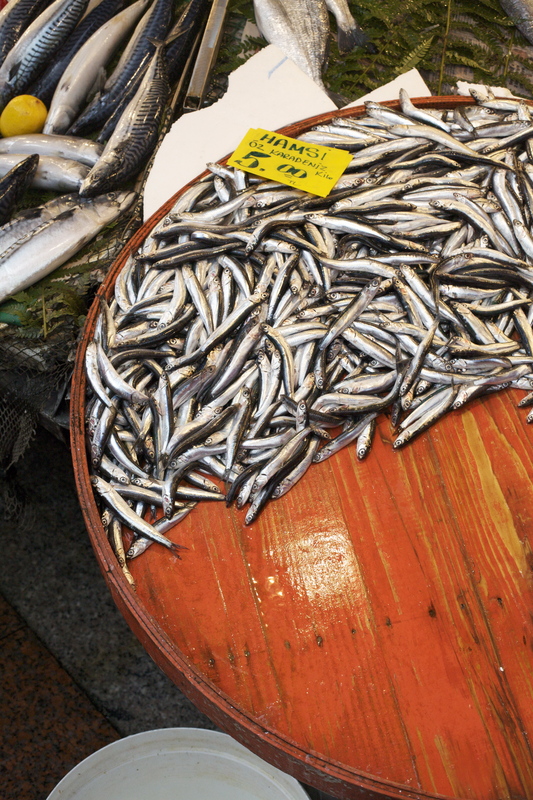 Due to decades of pollution, habitat destruction, and overfishing, many formerly common food species have all but disappeared from Istanbul’s waters. This in turn has given rise to a vicious cycle with fisherman desperate to make ends meet catching large numbers of fish that have not yet reached spawning age, further depleting stocks already at risk of commercial extinction. Some fishermen have teamed up with ecologists and scientists to push for tougher laws regulating the fishing industry in order protect its long term future. But many heavily indebted fishermen are unwilling to accept short term pain for long term gain. When I began researching this story, I was looking to do a piece more generally on the complex environmental threats facing both the Black Sea and Marmara Sea, but discovered this particularly interesting issue after I started interviewing. In the end, I did not have space to go into much detail about the other very serious threats facing Turkey’s seas. Vast quantities of domestic and industrial waste flow into the Black Sea and on into the Marmara from the big rivers of Eastern Europe and Russia: the Danube, Dneister, and Dneiper. Intense marine traffic also adds to the pollution, and exotic species are transported from the other side of the world in the ballast tanks of vessels, which has had a devastating effect in the past. The semi-enclosed nature of the Marmara and Black Sea makes them especially vulnerable to these kinds of anthropogenic activities. Turkey seems serious about doing its share to combat this problem. A large part of the responsibility falls on municipalities, who manage sewage treatment and disposal. In particular, Kocaeli, at the eastern end of the Marmara Sea, has done much to curb the discharge of industrial pollution from the many factories in that region. Istanbul too has achieved impressive results in reducing pollution. The municipality sent me this very detailed breakdown of its efforts to increase sewage processing, almost none of which I was able to include in the story. I’m posting it here (in Turkish) because it’s a useful resource for anyone else interested in this topic. I’ve been away for the past month in a village on the Aras River in Igdir Province, volunteering for a wildlife NGO and trying to improve my Turkish. 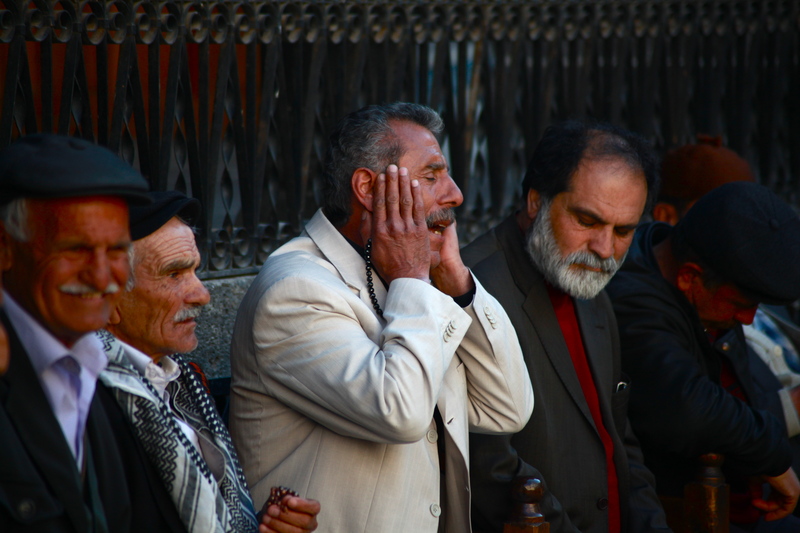 Internet access was blissfully nonexistent, and I didn’t get a chance to post about a story I wrote before I went away about the Kurdish singing tradition known as dengbej. You can read my article for Eurasianet here. Dengbej is an oral tradition in which a vast canon of stories, legends and historical events have been passed down from singer to singer for generations, a kind of cultural transmission now increasingly rare due to the influence of modern media and recording techniques. 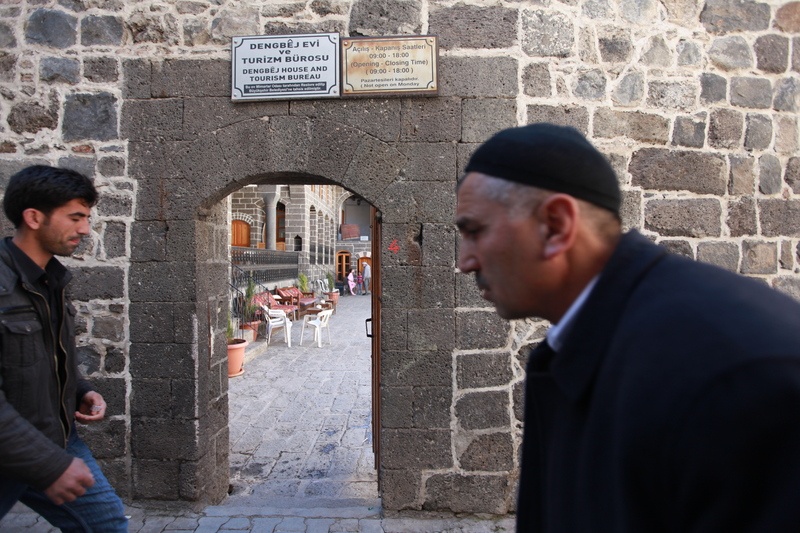 In March I spent several days visiting Diyarbakir’s ‘Dengbej Evi’, an old house with a traditional courtyard that has been set up by the city’s municipality as a place where the mainly elderly singers gather and perform. Often illiterate and from poor backgrounds, dengbej are capable of astounding feats of memory. Most singers and enthusiasts I spoke to recall diwans (recitals held in homes), where a single dengbej would perform through the night, plucking songs from his head one after another. The subject that predominates is, inevitably, love: young lovers, doomed lovers, happy lovers, jilted lovers, jealous lovers, and all the rest. After love – and sometimes as a result of it – comes bloodshed, both ancient and painfully recent. Many of the songs tell of old family feuds, warring agas and doomed rebellions. They have been passed down sometimes for centuries in the memories of singers without once being committed to paper, making dengbej a crucial but fragile vessel in which Kurds’ sense of their history and identity has been transmitted. Despite the past attempts of the Turkish state to suppress it, and the ongoing corrosive impact of mass media, dengbejremains alive today. Often singers will compose new ballads about the current and recent struggles of Kurds in Turkey, singing of assassinated or imprisoned journalists, or sneaking modern political references into old songs to elicit a laugh. But it’s hard to see that in an age in which music can so easily be recorded and replayed, dengbej singers will retain their elephantine memories. On the other hand, the songs are now reaching a wider audience than ever before, with recent performances being held in Istanbul and other areas of the country far from the remote southeastern villages that were its heartland. In that spirit, here’s a song by perhaps the most revered of recent dengbej singers, Sakiro. Now, who’ll supply some subtitles?